As I have mentioned, some of what I have enjoyed recently is having the flexibility to choose workouts based on moods or whims. In addition, not having a training plan to follow has allowed me to focus on other things that I have really needed to focus on. For example, stretching and yoga. This is something that I know IS good for me and I should incorporate it into my regular fitness routine. However, while training for Ironman, I was lucky WHEN I included some level of stretching into my plan. I definitely did not do enough, but it was so hard when days consisted of long training sessions and many two-a-days. When I finally had time after work, training and meals, all I wanted to do was relax or sleep. I would force myself to stretch or foam roll SOME. Over the last few weeks, though, I have been trying to do yoga twice a week. I have been successful in some twice a weeks, but it has been more once a week frequency. Yoga is something I have done now and again over the past few years. There have been some times where I was able to do it on a more regular schedule, but more often not. THIS…I am working on. I recently stumbled onto an article that mentioned it was National Yoga Month. Well, sure enough…after more googling, September is National Yoga Month! According to the Yoga Health Foundation, September is the official National Yoga Month (a national observance designated by the Department of Health & Human Services) designed to educate about the health benefits of yoga and to inspire a healthy lifestyle. So, in support of National Yoga Month, I thought I would share some thoughts from my experience about the benefits of yoga. Half pigeon pose has become one of my favorite and “go-to” poses over the last several weeks. I have been dealing with an achy glute and tight hips, so this position really targets some of these areas. 2. Builds strength and muscle tone – Who doesn’t like this? There are many yoga moves that require us to hold/balance our own body weight. There have been numerous times that I have done yoga and the next day I was sore. Holding the downward dog position will definitely give your upper body a good workout! There are also lots of great yoga poses that focus on core strength. I don’t know many triathletes that spend enough time working on their core. Building a strong core can benefit in all three disciplines (swimming, biking and running)! 3. Reduce stress – I know that many reading this may say that they will go for a run to reduce stress or to sweat out a bad day. Well, I agree! However, I know that I carry a lot of stress in my shoulders and upper back and while a good run will immediately make me feel better to work out the frustrations of the day, yoga can help with the tightness that builds up in the areas where people tend to “carry stress”. While I am not a certified fitness instructor or extensively experienced in my yoga practice, the benefits listed above are my opinion and the benefits I have personally realized from doing yoga. I think it is a good idea to experience difference areas of fitness to learn what other activities we might benefit from or just enjoy. I chose to post these in the spirit of sharing. I do not attend a yoga studio, but have numerous videos which I use at home. There are also lots of good options to check out on You Tube as well. 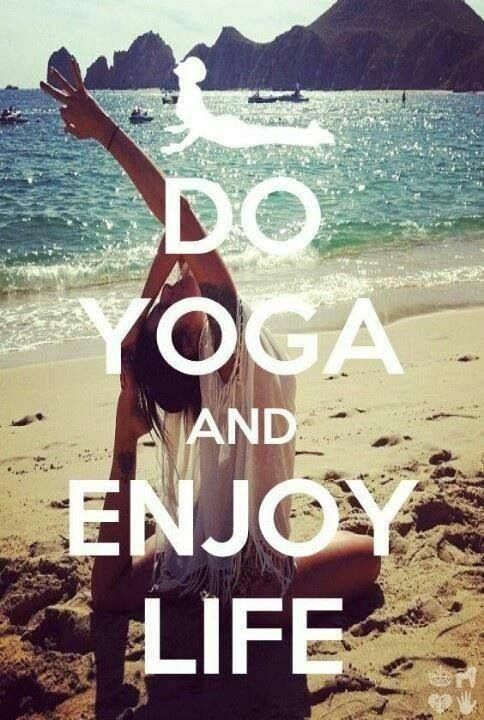 Do you practice regular yoga? 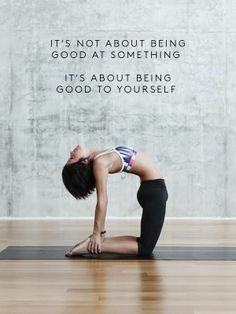 What is your favorite yoga pose?